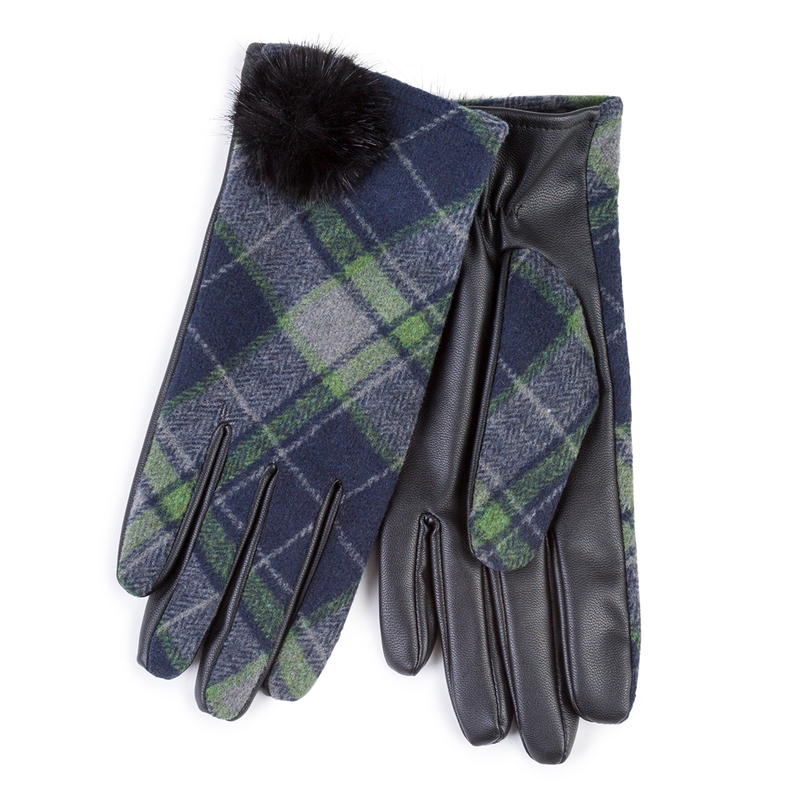 The Isotoner ladies navy check gloves with pom pom detail are made with new stretch PU material on the palm. A great gift for a loved one! Shell: Back - 75% Polyester, 11% Acrylic, 8% Viscose, 3% Cotton, 2% Nylon, 1% Wool. Palm - 100% Polyester / Lining: 100% Polyest / Trim: Faux fur pom pom - 100% Polyester. DO NOT WASH – Wipe clean with damp cloth. WARNING: Avoid contact with oil or solvents / Avoid contact with lighter materials as some colour transfer may occur.